The United States has become the world’s leading producer of oil and natural gas. By 2040, an estimated 80 percent of all U.S. energy consumption will be met by carbon based energy. And, the country could export as much oil as it imports within 15 years. Green radicals and government officials across the nation have been emboldened by McKibben’s message — especially within the Obama administration. All other priorities — job creation, economic growth, energy affordability, and updating the nation’s aging energy infrastructure — are taking a back seat. But environmentalists’ complaints about pipeline safety contradict the facts. According to the latest data, 99.999997 percent of natural gas was transported safely over the country’s 300,000 miles of pipe. And, natural gas production is actually helping the environment by replacing coal — which pollutes almost twice as much as natural gas — in power generation. Crude oil pipelines also have a track record of safety. In 2013, 99.999 percent of the oil delivered by pipeline reached its final destination without incident. The oil industry has instituted numerous safety measures to prevent accidents, including new tools for evaluating equipment, stronger infrastructure, and more stringent inspections criteria. Yet government officials continually block pipeline projects that would create thousands of jobs, enhance the national grid, and reduce energy costs for consumers. Consider the current backlog of stymied pipeline projects. The best known is Keystone XL, which would move crude oil from western Canada to the Gulf Coast. The project promises to create 42,000 new construction jobs — plus thousands more spin-off jobs in the manufacturing and hospitality industries. Green radicals, arguing the pipeline would harm the environment, demanded that President Obama block its approval. He happily obliged, rejecting the pipeline last November — even though the State Department concluded the pipeline would have no negative environmental impact. Many other lesser-known pipelines are also languishing. The Constitution Pipeline, which would have created 1,300 jobs and moved oil from Pennsylvania to New York, was blocked by regulators in Harrisburg and the governor in Albany. The Sandpiper Pipeline, meanwhile, would have carried oil between North Dakota, Minnesota, and Wisconsin -and created 2,500 jobs. Yet there won’t be any, thanks to the efforts of Minnesota’s Public Utilities Commission. Constructing pipelines such as the Key- stone XL, the Constitution, and the Sandpiper would ensure that Americans continue to have reliable energy to power their everyday lives. Instead of succumbing to the unfounded demands of today’s green movement, lawmakers must say no to energy obstructionists. 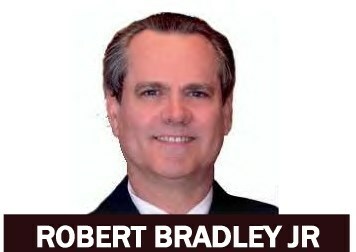 About the Author Robert Bradley Jr.